Fortunately, it’s not difficult to find the outsourced development partner that’s right for your business if you know what questions to ask and what to look for. Below, we’ll go over 7 red flags that should be warning signs for any company searching for a custom software development partner. Planning a custom software project? Our planning checklist takes you through the key steps to set your project up for success. Before signing the contract, you and your development partner should go through a discovery and negotiation process where you talk over exactly what you require and what your partner is capable of. If your partner doesn’t take the time to really understand your needs during the sales process, it’s unlikely that they’ll meet all of your expectations when developing the final product. The opposite is also a “green flag”: the more questions they ask, they better. This is a good sign that your partner wants to make sure that they’re on the same page as you. Foreign developers usually cost less than those based in the U.S., so outsourcing development overseas is a very common practice. Although outsourcing offshore isn’t necessarily a red flag, it may not be what your company wants or needs. For example, you may be subject to certain laws and regulations that require you to employ only U.S.-based developers, or that prevent you from sending sensitive data abroad. One practice that’s usually a red flag is the use of a U.S. address while using developers in other countries, which can be a dishonest business practice. This U.S. address may be little more than an outpost with only a few employees, while the bulk of the operations and development work occurs overseas. As a corollary to the first red flag, offering an estimate right away is almost always not a good sign. This likely means either that the company is desperate for work, or that they’re more interested in getting paid than producing the results you want. If the estimate that you receive is lower than you expected, it’s not always a cause for celebration. For one, a low estimate may be a sign that you’re dealing with a foreign outsourcing situation, as discussed in the second point. Even if you’re sure that the company is based in the U.S., a low estimate may be a sign of inexperience, or a sign that they plan to cut corners during development. While it might seem appealing to save money at first, you could end up paying for it down the line when you receive an unsatisfactory final product, forcing you to spend more money fixing it. Having a portfolio is crucial for potential development partners to win your business. If the company claims to have experience doing something similar to what you want, but can’t share any information, then this should be a major red flag. It’s true that development companies may not always be able to share their clients’ identities due to non-disclosure agreements and other complications. However, they should at least be able to give you a broad outline of their previous projects, how they were developed, and how they benefit the clients. If the company doesn’t have experience in your industry or your specific project, however, it’s not necessarily a problem. For example, if you’re looking to build an e-commerce site, the fact that your partner has already built some e-commerce sites is more important than the fact that the sites have a different layout or different features than what you’re looking for. After all, much of the work of software development is taking familiar concepts and applying them to new situations. Another major red flag for custom software development companies is a business that doesn’t provide a clear roadmap for your project, or a clear process for keeping you in the loop. Your partner should assign you a point of contact who’s responsible for most of the communication. Note that it’s typical to have an intermediary point of contact such as a project manager who’s not on the development team. This helps the developers focus on moving your project forward without disrupting their thought processes throughout the day. Missing deadlines in the sales process, before you even put pen to paper, is a serious indication of underlying problems. If the company can’t be bothered to call or send information when they say they will, then it’s likely only to get worse during the development stage. 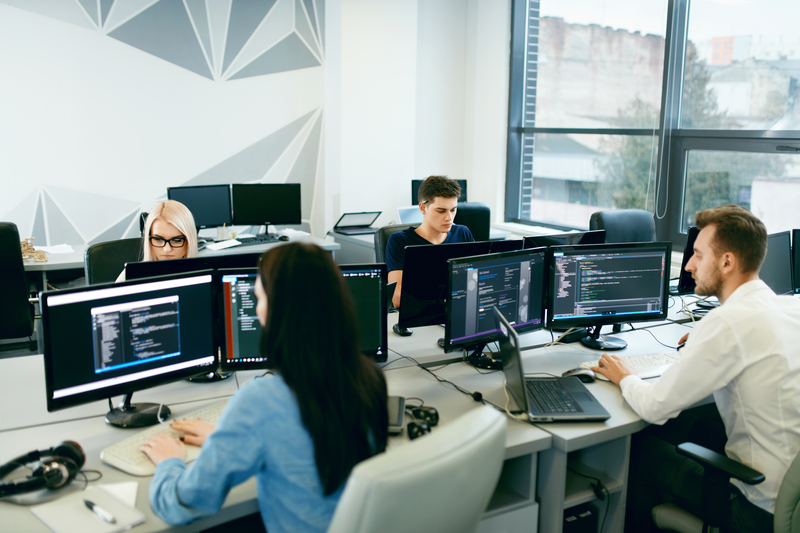 When choosing the right custom software development partner, knowing what to watch out for is just as important as knowing what to prioritize. If something feels off to you during this process, it’s usually a good idea to go with your gut and choose a partner that doesn’t exhibit the 7 red flags above.